BRIT-award winning harmony trio BLAKE join forces with Classical No.1 soprano Rebecca Newman to perform ‘The Prayer’ by David Foster. 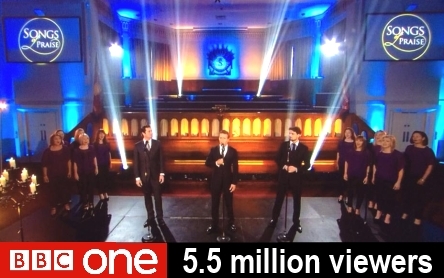 The performance is one of two that BLAKE recorded for BBC One’s primetime tv show ‘Songs of Praise’ watched by 6 million viewers every week. 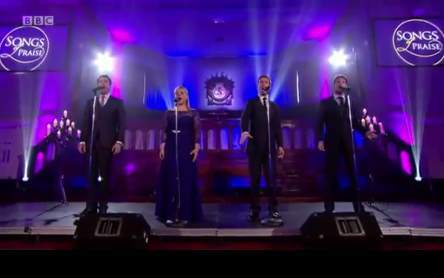 Appearing live on the UK’s most popular daytime television chat show, BLAKE performed ‘Fields of Gold’ from their new album ‘In Harmony’ accompanied only by their pianist Martin Riley. Their new album is available in all HMV highstreet stores, Amazon and iTunes too, don’t miss out on your copy! 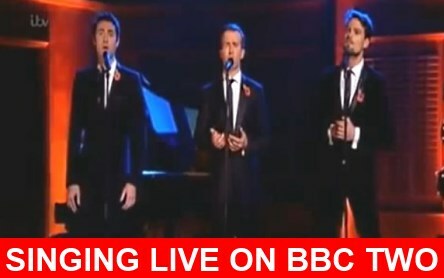 BLAKE trio sing ‘Manila’, live & in Tagalog, for 65,000 people!